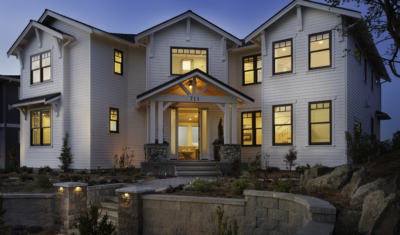 Classic residential design delivered with friendly, personal service by a Seattle architect who has been helping people like you create beautiful, enduring spaces for living for over 35 years. Known for his hands on approach to creating living environments that feel like home, Carl Colson has a knack for producing designs that delight residents, not to mention the builders and developers whose single family homes and multi-family residential developments profit from his appealing designs. Skill in managing the design process and at discovering design opportunities have been developed in a 35 year career designing very successful projects of many different types and sizes. These skills provide you with functional and appealing designs for your building and site design projects, whether they are single family, multifamily, or mixed-use projects. Passion. Innovation. Attention To Detail. We all dream of our just right home – however you define it. Creating a home designed to support the lives and activities of those dwelling there can be an enormously rewarding undertaking. Architects have important contributions to make to this process. Finding the right one is important. Choosing the right residential architect is even more critical. I firmly believe that creating a new house for a client is a collaborative process between architect and client. I listen very closely and ask thoughtful questions to help me understand and identify your goals and priorities. Your answers will tell me about how you live, your aesthetic preferences, your budget, and your desired time frame. 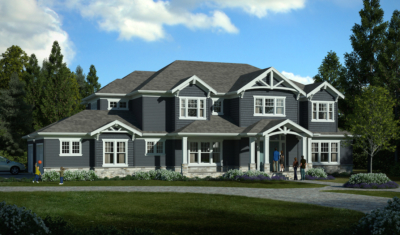 What you tell me will dictate the concepts, ideas, and possibilities that I’ll develop as we create the design concept for your remodel, addition, or new home. 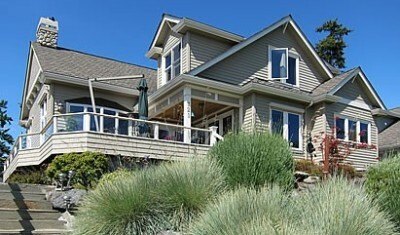 Known for designs both highly functional and profitable for his clients, Carl Colson has worked closely providing architectural services for national and Seattle area developers and contractors for over 35 years planning and designing single family, multi-family, and mixed-use residential projects as well as commercial and retail facilities. Carl routinely helps his clients’ projects exceed their financial expectations with his blend of creative design ability and experience. On a number of planning projects Carl has created site plans with 3 to 5 additional units or lots compared to the owners’ previous plans. Always aware of the financial investment developers make in their projects, Carl diligently and efficiently creates functional and appealing designs for sites and buildings. Local planning firms often consult with Carl when they need a fresh perspective on their projects and site planning strategies. He helps them find ways to make their plans more functional and more marketable. Carl firmly believes that a team approach benefits all parties involved. For this reason, he maintains excellent working relationships with contractors that ease the process of solving the unique challenges found on every project. Developers and contractors appreciate Carl’s attention to detail, especially his thorough and accurate construction documents. The most efficient way to design a sustainable / green project is by creating a design that works efficiently with the least amount of building space., which means that less space is required to be built and maintained, energy costs are lower, and less construction waste is produced during construction of the project. These more efficient designs can have spaces that are designed for shared uses, reducing the impact on the site and can save the owner significant amounts of money. Design to respond to the site –attention to site orientation can make significant differences in the costs of heating, cooling, and lighting in a building. Green buildings can be designed in any architectural styles and do not need to be designed in a style that happens to be popular this year and may not be next year. Higher insulation values, careful sealing of all exterior openings, more efficient mechanical systems, and products with non-toxic finishes are all examples of energy saving techniques that do not affect the exterior appearance of the building, yet can still be very cost effective. For clients who are interested in remodeling or constructing an addition, I remind them of the saying that “The greenest building is the one already built”. Their existing home or building represents a sizable investment in energy required to originally construct that building. We can definitely improve the layout, appearance, and the energy efficiency. Tremendous energy and costs can be saved if the existing building can be improved, rather than tearing it all down and starting over. In some cases, that may be the best choice but the question “Is this building worth saving” certainly deserves to be considered. Carl has an inherent sense of design elements, functionality, beauty, and precision. His designs are practical, yet innovative. He knows how to maximize a site and how to work positively and creatively within physical, economic, and regulatory constraints. His designs have what I refer to as the “Ahhhh” factor. They are intuitive and pleasing to the eye; they are interesting, but feel natural and “right”. In 20 years of developing and building projects, the architect I have enjoyed working with the most has been Carl Colson. His plans are the most complete and extremely thorough. 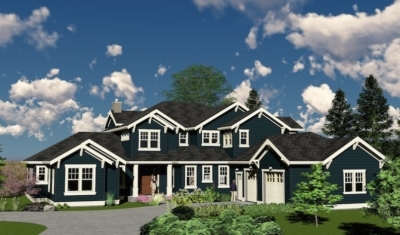 I use Carl exclusively for all of my projects, including a multi-family townhome project of 101 homes, 40 townhomes in Sedro Wooley, and 54 single-family detached homes in a mixed-use community. Carl has always met the project deadlines, is very creative, and open minded about suggestions. Every one of my staff, including the field crews, has spoken very highly of Carl’s work – I have recommended Carl in the past and will continue to recommend him. I have lived in a Cascade Cottages townhouse for the past year and a half, and I just love it. The entire space is thoughtfully designed and beautifully built. It’s clear Carl Colson understood what makes a beautiful home: spacious rooms, functional design and attention to detail. Carl’s designs are amazing and get the most for the client. 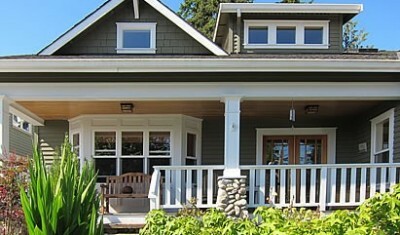 He thinks about site design, exterior designs, interiors, curb appeal, and cost management. His exterior designs were very appealing, and his interiors were fantastic. I would strongly recommend Carl Colson for any of your architecture needs, from residential remodels to complex high-rise commercial developments and everything in between. 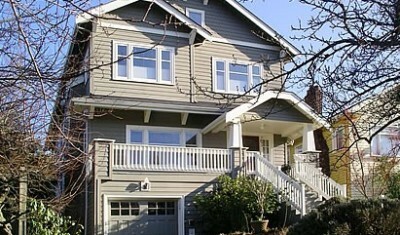 Carl added a second story to our 1925 home on Queen Anne Hill. We liked the location but the bungalow was too small and dark. We envisioned a big bathroom and bedroom trying to capture as much light as possible. Carl designed the house to still look like a 1925 house outside and a light open space inside. Carl succeeded where I don’t think many architects would have. We love our house inside and out, and are still delighted with the light and space. We highly recommend Carl Colson! As homeowners, we truly appreciate Carl’s insight in the design process. We couldn’t be happier with the look and feel of what Carl created. 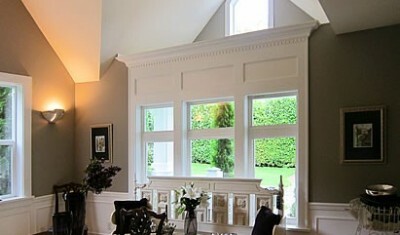 The plans were incredibly detailed and accurate .and had absolutely no issues during the construction of the additions. Carl not only has an eye for the design of a project but he also has the practical building process knowledge that makes the construction practical saving time and material costs. We would strongly recommend Carl for any architectural project. With more than 30 years experience, Carl is an expert in all aspects of architectural design and construction. 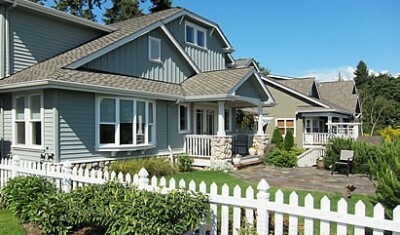 He has designed a wide variety of buildings, planning, and architectural designs in the greater Seattle area – from office buildings, retail spaces, and hotels, to site planning, mixed-use, multi-family and single family homes – but designing homes of all kinds brings him the greatest satisfaction. This is where he feels his creativity really shines. Carl is just as passionate about giving his clients what they want and need as he is about design itself. He treats his clients’ needs and goals for a project with great respect. He has a talent for synthesizing seemingly disparate needs and considerations into finished designs that work well, respect budgets, and please his clients. Carl J Colson - Architect PLLC © 2017 All rights reserved.